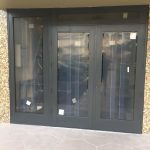 Patio doors are beautiful, they add class and gives your home a more attractive look but whenever they are faulty, they can be inconvenient to use, American Sliding Doors Inc. is the best solution to your faulty patio glass door. With a fast response and professional services, your patio glass door will be back to function in no time. The Patio is a tranquil spot in your home– a place where you relax and get the peace that you so merit! It is one such place where typically everyone likes to hang out for an easygoing chat or simply for relaxation purpose. American Sliding Door Inc. is one place where we help maintain your heaven for you. 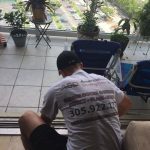 If your Patio glass door ever develops a crack, nearly unhinged or has basically broken into million pieces in Miami FL, you don’t have to panic about getting it done by the right expert, American Sliding Door Inc. is at your fingertip. 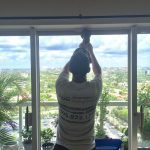 Our specialists with years of experience on them, will be happy to give you the best patio glass door repair service in Miami. Some of the basic Patio doors are “Sliding doors” due to the fact that they contribute to the effective interior decoration of the Patio. Regardless of whether you’re hoping to replace or repair your sliding glass door, it is critical to find experts who’ve worked on custom glass outlines and pride themselves on creating genuinely remarkable, quality work. Our Patio door repair specialists are gifted at dealing with all brands and kinds of sliding door. We can replace, repair and keep up your current doors or put in new ones. We’ll deal with door tune-ups and guarantee that all rollers are working up to their potential. If not, they will be replaced alongside the sliding door’s track. The specialists at American Sliding Door Inc. are only one phone away, when you discover that the Patio glass wouldn’t last one more day since it is extremely fragile, make the best choice and call us and we will be at your doorstep in no time. 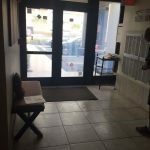 We serve in different areas of Miami Florida and glass door repair and replacement is our specialty. We are available for service, 24/7 because we understand that emergency situations have a way of popping at the least expected hour. Sliding Patio Doors have the tendency to wear due to its constant fight with outside elements such as Sun, Rain, etc. But no matter what the problem is, we will fix it. We offer the best value in patio glass repair and replacement services in Miami Florida. Get glass solutions from the glass specialists you trust today. Sliding doors can lose their alignment any day, any time. We can replace the handles and locks on the doors and ensure everything is properly adjusted. Imagine a scenario where a stone smash your patio door glass. 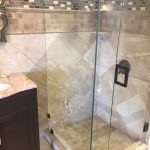 It happens more frequently than you may envision, that is the reason we stock a vast inventory of standard size door glass replacements. So do calls us in the event that you have a smashed patio glass door.